The Bonn Capitals have announced on Wednesday that they have extended the contract with Wilson Lee through the 2016 season. 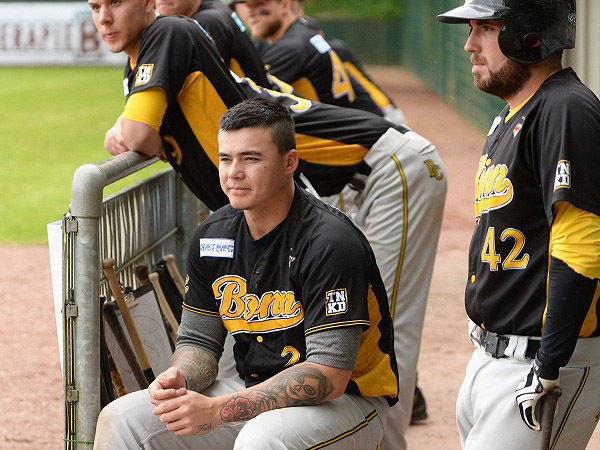 The left-hander, who is currently dominating the German Baseball-Bundesliga on the mound and at the plate, arrived in Bonn this spring. During the winter of 2015/2016 he will spend in Australia playing baseball. Lee is currently sporting an ERA of 0.27 in five starts, having struck out 57 batters in 33 innings, while walking nine. At the plate he is batting .559/.625/.971 with four home runs and 21 RBI in 10 games. His Capitals are currently in second place in the northern division with a 10-1 record. The club already had signed Bradley Roper-Hubbert, Daniel Lamb-Hunt and Maurice Wilhelm through 2016.